Clients seeking skin rejuvenation have a wide range of options when it comes to improving the appearance of their skin. Plastic surgeons have comprehensive training and knowledge of anatomy, understanding of wound healing, and methods to conceal or diminish the appearance of scars. The services offered by Dr. Andrade include removal of unsightly moles, cysts, skin tags and other benign and cancerous skin lesions. He also treats patients concerned about wrinkles with facial injectables and neuromodulators that can lessen the appearance of facial aging without resorting to surgery. Pelleve is his latest non-invasive technique to diminish the appearance of facial wrinkles and fine lines. Unlike aggressive laser resurfacing or deep peels which can cause wounds that take time to heal, there is no downtime with Pelleve. The treatment can be done in approximately 30 minutes per session, and in most cases immediate results are seen. Pellefirm can improve the appearance of cellulite. During a session the area will feel warm but usually there is no discomfort. 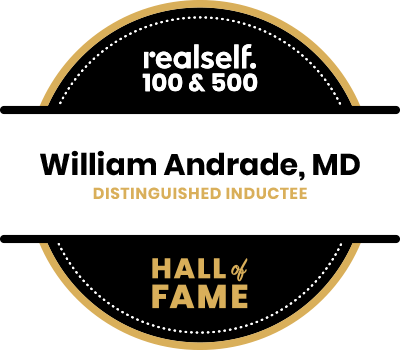 As an experienced, board-certified Plastic and Reconstructive Surgeon, Dr. Andrade is an expert in the removal of skin lesions. Patients with a new skin lesion are encouraged to first show their family physician. Not every skin lesion requires removal by a plastic surgeon, and some can be managed effectively by a family doctor or dermatololgist. A lesion that is rapidly changing, bleeding, painful or otherwise symptomatic could potentially be cancerous . Removal of skin cancers is an OHIP-insured service so there is no charge to the patient. There are a multitude of options to remove lesions but most of these techniques can be grouped into two broad categories: techniques that completely remove the lesion including the part that is below the surface of the skin, and others that only remove the visible part that protrudes above the skin surface. The risks, benefits and healing time are quite different depending on the technique used. Dr. Andrade is very familiar with the various treatment options and will provide advice based on patient preference and the physical examination. After earlobes are pierced it is not uncommon for the holes to slowly elongate over time due to heavy ear rings, or be accidentally torn when an ear ring is caught. Earlobes that have been stretched with plugs can also be made smaller again. The procedure is done under local anaesthetic in the clinic, and usually takes approximately 20-40 minutes per side, depending on the complexity of the repair. It is much more time consuming to repair stretched earlobes compared with earlobes that were simply torn while wearing earrings. There is no downtime and if non-dissolving sutures are used, they are removed within one week. It is very uncommon to have healing problems after earlobe repair, but the risks include bleeding, infection, wound opening, shape distortion, or thick scars called keloids. Is any preparation required before minor surgery? Most people can take all regular medications on the day of the procedure, but depending on the procedure Dr. Andrade may advise temporarily discontinuing medications that could increase the risk of bleeding such as Aspirin, Plavix, Dabigatran, Warfarin or other medications. Eat and drink normally prior to minor surgery unless advised otherwise. People can usually can drive to the appointment themselves. Some exceptions include procedures around the eyes since the dressing might temporarily block vision, certain procedures on the hands, or other operations that would affect safe car driving. It is not necessary to bring another person to the appointment unless you are nervous about surgery and would prefer to have someone for support. The operating room is a clean environment so we ask that only the patient come into the OR for their procedure. What is the difference between a mole, cyst, and lipoma? How are they removed? A mole is a small bump or coloured spot on the skin, which is also called a “nevus”. A mole can involve the deeper layers of the skin, so if it is removed with a technique that only takes away the top part of the mole that protrudes from the skin surface, it may grow back. This occurs infrequently and most patents are pleased with the results of a procedure that removes the superficial part of the mole, using a laser, radio frequency device, cautery, freezing, or shaving. If a mole is removed by excising the entire lesion including the deeper part and a small margin of the surrounding normal skin, it rarely will grow back. However, sutures are usually required to close the wound, and there will be a scar. In some cases the scar will fade and be very difficult to see, but in other cases the scar will remain visible. An epidermoid cyst is a small sac attached to the deep surface of the skin, with a core that contains thick, white-yellow contents. Sometimes a bit of this thick material will drain from the cyst, and it is usually smelly. A cyst is usually removed along with a small piece of the overlying skin since there is a very low risk of recurrence if it is removed this way (<1% recurrence rate in Dr. Andrade’s practice). A lipoma is a fatty lump that is deeper than the skin and it tends to be soft and mobile. Often a lipoma can be removed using an incision that is smaller than the lump itself. The incision may be closed with stitches that are hidden under the surface of the skin so they do not require removal and do not leave any permanent stitch marks. What is the cost of removal of a lesion? The cost of lesion removal will vary depending many factors including its size, location, type of procedure used for its removal. The cost usually ranges from $300-400 + HST but can be less per lesion if many are being removed at the same time. The fee might be higher for lumps that are very large, or located in cosmetically sensitive areas like the eyelid, lip or nose. Dr. Andrade will provide the exact fee during the consultation. There is no charge for follow-up appointments. When making an informed decision where to have a mole or lipoma removed, it is important to be aware that the training of the doctor and clinic standards affect the cost of the operation. Dr. Andrade is a fully credentialed Plastic and Reconstructive surgeon with extensive experience removing skin lesions. He is affiliated with the University of Toronto and teaches medical residents minor surgery skills. 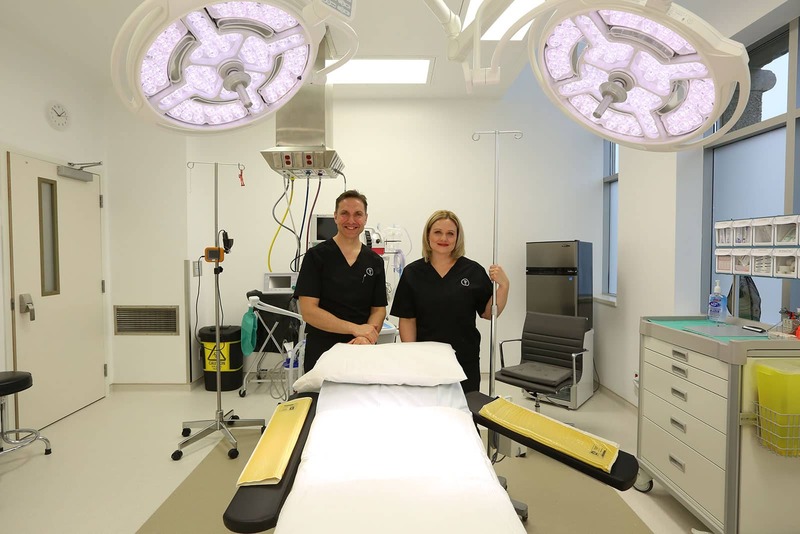 His facility is accredited by the College of Physicians and Surgeons of Ontario, which ensures that there are rigorous standards for instrument sterilization, equipment maintenance, and other protocols that ensure patients receive a high level of care. All of these factors impact on the cost of surgery. 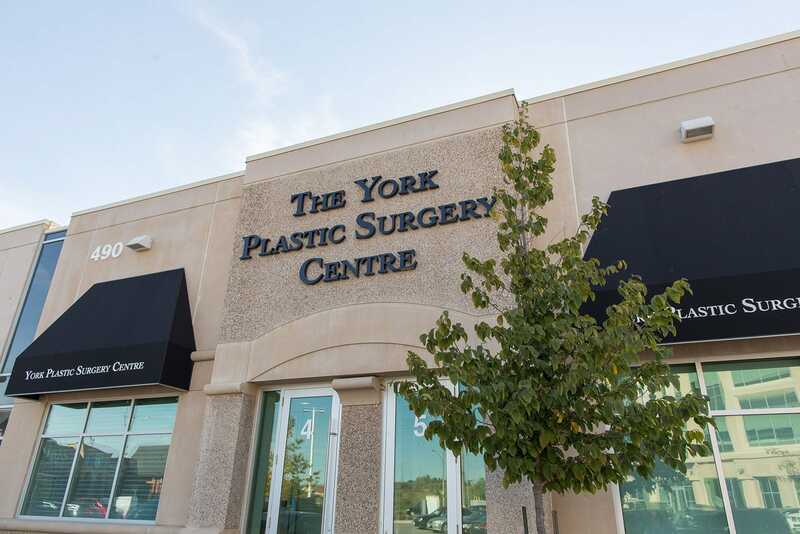 Not all clinics in Ontario adhere to the same standards; Dr. Andrade is the only physician in Newmarket to operate a CPSO-accredited plastic surgery clinic. 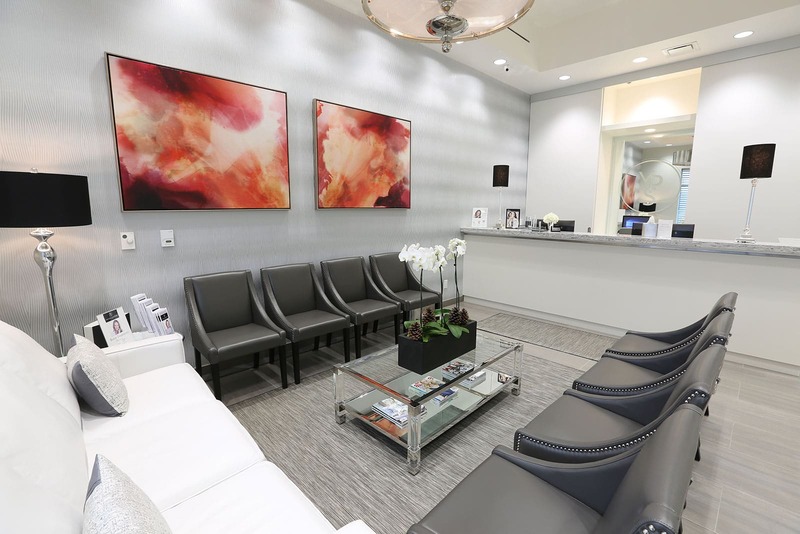 All accredited plastic surgery clinics have staff that are rigorously trained to process and sterilize instruments, yet Dermatology clinics and family physicians do not have to undergo the same inspection process. What are the risks of removing a mole or lump? Problems after minor surgery are uncommon. Potential complications include bleeding, infection, delayed healing or the wound opening, visible or thick scars called keloids, recurrence of the lesion, nerve injury, allergic reactions to medications or dressings, or other issues. Dr. Andrade will discuss any other unique risks of lesion removal during the consultation. Any client considering Botox is assessed first by Dr. Andrade so they understand the potential benefits, longevity, and risks of this medication. 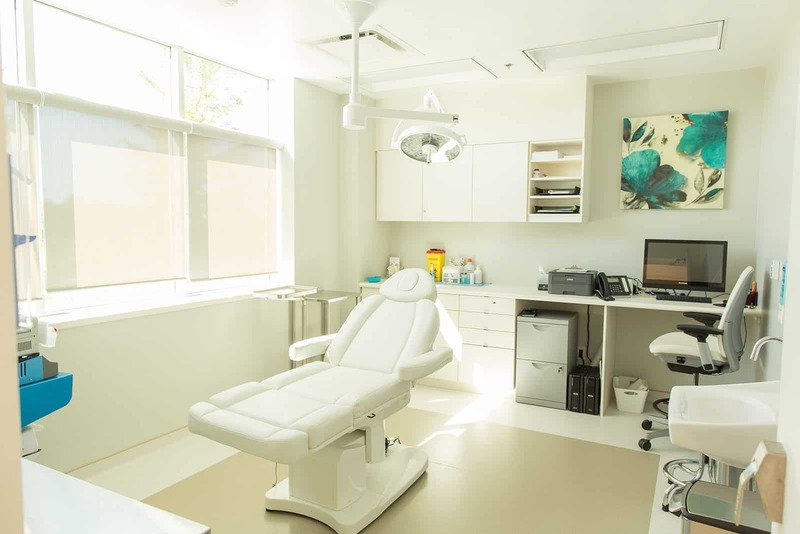 We are frequently told by our patients that they appreciate the additional time we spend explaining and doing the procedure, and our availability if they have any questions afterward. There is no charge for the consultation. Clients have a choice of having the procedure done by a registered nurse under Dr. Andrade’s supervision, or by Dr. Andrade. The cost for Botox is $9/unit if injected by the RN, or $12/unit if injected by Dr. Andrade (fees subject to HST). Injectable facial fillers provide a non-surgical option to soften facial wrinkles and restore volume associated with aging. For more details on the Juvederm line of products click here. Dr. Andrade offers the SkinMedica line of skin care products including moisturizers, sunscreens, gentle peels and scar gel. They are used to treat a variety of common skin problems like oiliness, dry skin, and age-related changes, yet relatively easy to use. Most people will spend under 5 minutes per day. We offer medical-grade skin peels to complement the daily skin care regimen. Peels can usually be performed in about 30-40 minutes in the clinic, and there is no downtime. Call our office to book your complementary consultation! This medication is available at the clinic – please call to discuss the cost, application, and detailed information about this product. All people seeking Latisse treatment must complete a medical questionnaire and discuss the proper use of the product with Dr. Andrade and/or our nurses to determine whether it is appropriate.